Merely asking the wife to do house hold work or to work at their own field, cannot be termed as "Cruelty"
Before :- Shrihari P. Davare, J. Criminal Appeal No. 36 of 2001. D/d. 6.4.2011. For the Appellant :- S.P. Katneshwarkar, Advocate. For the Respondent :- V.G. Shelke, A.P.P. Shrihari P. Davare, J. - Heard learned counsel for the parties. of the Indian Penal Code, and sentencing them to suffer rigorous imprisonment for one year, each and to pay fine of Rs. 500/-, each, in default, to undergo further rigorous imprisonment for three months, each, and also convicting them for offence under Section 306, read with Section 34, of IPC, and sentencing them to suffer rigorous imprisonment for three years, each and to pay fine of Rs. 1000/- each, in default to suffer further rigorous imprisonment for six months, and also directing the aforesaid substantive sentences to run concurrently. 3. Briefly stated, the facts of the case, which gave rise to the present appeal, are that the victim Chandrabhagabai, who was the daughter of P.W. 11 Maroti Kisan Choure, resident of village Jivachi Wadi, married to accused No. 1, namely, Limbraj, resident of village Sarul, Taluka Kaij, District Beed, about 8 to 9 years back, and accused Nos. 2 Bysakhu and accused No. 3 Vishnu are her motherinlaw and fatherinlaw respectively, whereas accused No. 4 Youvraj and accused No. 5 Dhanraj are her brothersinlaw, who all were residing jointly. Out of the wedlock of Chandrabhagabai with accused No. 1 Limbraj, two sons and one daughter were begotten. 4. It is alleged that the victim Chandrabahagabai was found to have consumed some poisonous substance and lying in unconscious condition in front of the cattleshed of the accused at his field, on 26.2.1999, which was noticed by P.W. 10 Shrimant Dhakne, firstly, and hence, he called her and tried to make her sit, but she did not respond, and vomited. He smelled poison from her mouth, and therefore, he informed one Nilkanth and thereafter, she was taken to Primary Health Centre, Neknoor, firstly, in the bullockcart, and thereafter to Civil Hospital, Beed, where she was declared dead. Thereafter, inquest panchanama of the dead body was conducted in the Civil Hospital, Beed. Moreover, P.W. 6 Dr. Kailash Hiraman Dudhal conducted post mortem on the dead body of Chandrabhagabai, on 26.2.1999, whereafter her dead body was brought to village Sarul. Accordingly, A.D. No. 16 of 1999 was registered with Police Station, Kaij, and then CR No. 48 of 1999 was registered, on 1.3.1999 for offences punishable under Sections 498A and 306 read with Section 34 of the IPC, by Police Head Constable Shri Dnyaneshwar Tukaram Pawar (PW5). Head Constable H.Y. Munjal was assigned enquiry of the said A.D. case, and accordingly, he visited the spot of the incident in front of the cattle shed belonging to accused No. 3 Vishnu and collected samples of soil of vomit and plain soil from the said spot and drew spot panchanama dated 27.2.1999 (Exh.19) in presence of Suryabhan Laxman Dhakne (PW1) and one Babasaheb Dadarao Jadhav. 5. It is also the case of the prosecution that on 28.2.1999, Police Head Constable Babu Sidram Mhaske (PW12) was the in charge of police out post, Nandurghat and on that day, at about 5.00 p.m., Suryakant Maroti Chaure (PW8), the brother of the victim, lodged complaint, which was recorded by P.W. 12 Babu Mhaske, as per narration of Suryakant.. Thereafter, P.W. 12 Babu Mhaske prepared occurrence report, which is produced at Exh. 26, and investigation papers were handed over to him. Accordingly, on 1.3.1999, he recorded statements of witnesses, namely, Janabai Maroti Chaure (mother of the victim Chandrabhagabai), Maroti Kishan Chaure (PW11 and father of the victim), Ramchandra Maroti Chaure (PW4) and Chanderrao Dnyanoba Dhakne (PW9). On 2.3.1999, he recorded statements of the witnesses, namely, Gorakh Yedba Chaure (PW7), who is cousin of the victim, Ambadas, Sajjanbai (PW2), Nilkanth, and Shrimant Dhakne (P.W. 10) and others. Earlier, on 27.2.1999, he had recorded statement of P.W. 10 Shankar Dhakne, in connection with A.D. case No. 16 of 1999, as aforesaid. Moreover, P.W. 12 Babu Mhaske also arrested the accused persons on 1.3.1999. 6. During the course of investigation, the sample of vomit soil and plain soil were sent to the Chemical Analyzer for analysis, vide forwarding letter dated 20.8.1999, which is produced at Exh. 41. Moreover, one letter was issued to the Civil Surgeon, Beed, on 19.4.1999, requesting him to hand over the viscera to Police Constable Bk. No. 180 who was deputed for the said purpose, for being forwarded to the Forensic Science Laboratory, Aurangabad, and the copy of the said letter is produced at Exhibit 42. It is alleged by the complainant Suryakant Chaure (PW8) that the accused persons subjected the deceased Chandrabhagabai to cruelty to meet their unlawful demand of money and she was tortured and thereby they abetted Chandrabhagabai to commit suicide. 7. After receipt of post mortem report and the advanced certificate of cause of death, and on completion of investigation, chargesheet was filed before the learned Judicial Magistrate, First Class, Kaij, on 13.4.1999, and thereafter the said case was committed to the Court of Sessions, Ambajogai, by the learned J.M.F.C., Kaij, on 21.6.1999. Accordingly, charge was framed against accused persons (Exh. 10C), on 18.8.2000 and their pleas were recorded, and they pleaded not guilty to the charges levelled against them and claimed to be tried. The defence of the accused is of total denial and they stated that they have been implicated in present case, falsely, and accordingly, they claimed to be innocent. 8. To substantiate its case, inasmuch as 12 witnesses have been examined by the prosecution, as mentioned below. P.W. 1 Suryabhan Laxman Dhakne Panch to spot panchanama (Ex.19), regarding collection of soil samples. He turned hostile. P.W. 2 Sajjanbai Ramchandra Chaure Sister of the victim. P.W. 3 Kesharbai Ambadas Kendre Sister of the victim. P.W. 4 Ramchandra Maroti Chaure Brother of the victim. P.W. 5 Dnyaneshwar Tukaram Pawar Police Head Constable, who registered offence against the accused persons. P.W. 6 Dr. Kailash Hiraman Dudhal Medical Officer, who carried pm on the deceased. P.W. 7 Gorakh Yedba Chaure Cousin of the victim. P.W. 8 Suryakant Maroti Chaure Complainant and brother of the victim. P.W. 9 Chanderrao Dnyanoba Dhakne Cousin of the victim. P.W. 10 Shrimant Shankar Dhakne He noticed the victim lying in the field, in unconscious condition, firstly. P.W. 11 Maroti Kishan Choure Father of the victim. P.W. 12 Babu Sidram Mhaske Police Head Constable and Investigating Officer. 9. On the background of aforesaid oral evidence led by the prosecution, accused neither examined themselves on oath, nor examined any witness in defence. Accordingly, after assessing and analyzing oral and documentary evidence, and considering the submissions advanced by the learned counsel for the parties, the learned Sessions Judge, Ambajogai, convicted and sentenced the accused persons, as mentioned hereinabove, by the impugned judgment and order dated 29.12.2000. Being aggrieved and dissatisfied by the said judgment and order of conviction and sentence, original accused have preferred present appeal, and prayed for quashment thereof. 10. Before adverting to the submissions advanced by the learned counsel for the parties, it is necessary to scrutinize and analyzing the evidence adduced and produced by the parties, and in the said context, coming to the deposition of P.W. 8 Suryakant Chaure, who is the complainant and brother of the victim, he stated that he, along with his parents and brother Ramchandra reside together and Kesharbai and deceased Chandrabhagabai are her sisters. He stated that Chandrabhagabai married with accused No. 1. Limbraj about nine years prior to the incident and she gave birth to two sons and one daughter out of the wedlock with accused No. 1. He further stated that since her marriage, deceased Chandrabhagabaii was illtreated and even food was not provided to her and she used to be assaulted, and also compelled to do work in the field only. He further stated that her husband i.e. accused No. 1, as well as parents-in-law and brothers in law, i.e. accused Nos. 2 to 5, ill-treated her, and she had disclosed the same to her parents when she had visited to her parental house, at the time of festivals. He stated that he himself, his parents, and his brother used to go to matrimonial home of his sister Chandrabhagabai, and request her in laws to treat her well, however, ill treatment to the victim at the hands of her in laws, continued. P.W. 8 Surykanat also stated that the victim Chandrakalabai disclosed him that her in-laws demanded Rs. 25,000/- to purchase a flour mill, but he had expressed inability therefor. 11. P.W. 8 Suryakant further stated that the incident occurred on 26.2.1999, when he was at Bhaurao Cooperative Sugar factory, Biloli. On 27.2.1999, P.W. 10 Shrimant Dhakne and P.W. 7 Gorakh Choure came to him and informed him about the death of Chandrabhagabai due to consumption of poisonous substance, and hence, P.W. 8 Suryakant, P.W. 4 Ramchandra and P.W. 2 Sajjanbai rushed and collected his father P.W. 11 Maroti, who was at Shripatroi Wadi, and then all of them proceeded to village Sarola, to see the victim Chandrabhagabai. However, they found that last rites of Chandrbhagabai were already performed prior to their arrival. P.W. 8 Suryakant further stated that his mother was weeping and asked him whether he had brought the amount of Rs. 25,000/- for which victim was harassed on the previous day and she committed suicide due to harassment at the hands of her inlaws to meet the demand of said money, and thereafter, they all returned back to village Jivachi Wadi. He further stated that on next day, he went to Police Station, Kaij, and his complaint was recorded at 4.00 p.m. at Nandurghat police out post, as per his narration, which is marked as Exh.32. 12. During the course of cross examination, P.W. 8 stated that the inlaws of Chandrabhagabai, started giving her illtreatment after about 1 to 11/ 2 months after the marriage and she was being illtreated on the ground that she was unable to cook the food, properly. He visited matrimonial home of Chandrabhagabai for about 8 to 9 times since her marriage until her death, and the ill treatment by inlaws was tolerated by her with the hope that they would improve their behaviour and would treat her, properly. P.W. 8 Suryakant further stated that the amount of Rs. 25,000/- for flour mill, was demanded about one year prior to the suicide by Chandrabhagabai, and he had assured her inlaws that he would meet their demand of money, after completion of season of sugarcane. Moreover, the defence of the accused was put to P.W. 8 Suryakant that the victim Chandrabhagabai was suffering from kidney disease since about 23 years prior to the incident, and she was also weak and since she could not bear sufferings, she resorted to end her life, but same was denied by him. As regards flour mill of inlaws of victim Chandrabhagabai, he stated that he does not know for how much period it was run, and he was unable to state the period till when the accused ran the flour mill after marriage of Chandrabhagabai, and hence, it was suggested to him that there was no ill treatment or harassment to deceased Chandrabhagabai with intend to meet the demand of Rs. 25,000/- for flour mill, at any time, but he denied the same. He was suggested that the death of the victim was not caused on account of illtreatment or harassment to her, but he denied the same. 13. Thus, it is evident from the deposition of P.W. 8 Suryakant that although the victim Chandrabhagabai was ill treated since her marriage for about 89 years, and even if the alleged incident of suicide by her took place on 26.2.1999, yet there appears to be no immediate prior incident, having close proximity which could be said to have led to committal of suicide by her. Moreover, the alleged demand of Rs. 25,000/= for flour mill by the inlaws of the victim Chandrabhagabai does not appear to have coerced Chandrakalabai or her relatives to fulfill the said alleged unlawful demand. In fact, it appears from the testimony of P.W. 8 Suryakant that victim Chandrabhagabai was ill treated for the reason that she was not able to cook the food, properly, and it is apparent from his testimony that the amount of flour mill was demanded about one year prior to the incident, as stated earlier, and as such, there is no close proximity in the alleged unlawful demand of money and the suicide by victim Chandrabhagabai. 14. The defence put up its case to witness Suryakant that Chandrabhagabai was suffering from kidney disease since 23 years prior to the incident and had become weak and was unable to bear suffering, and hence, she decided to end her life, by committing suicide, but same was denied by him. 15. That takes me to the deposition of P.W. 9 Chanderrao Dnyanoba Dhakne, cousin of the victim Chandrabhagabai. He stated that the marriage of Chandrabhagabai took place about 8 to 9 years prior to the incident, with accused No. 1 Limbraj, and two sons and two daughters were begotten out of the said wedlock. He further stated that the inlaws of Chandrbhagabai used to beat her and did not provide food to her, properly and Chandrabhagabai had disclosed the same to him, and in turn, he disclosed the same to her parents. He stated that he also persuaded inlaws of Chandrabhagabai to treat her well, however, they continued to give ill treatment to her. He further stated that Chandrabhagabai had disclosed him about 12 months prior to the incident that she was harassed to meet the demand of Rs. 25,000/- required for purchase of flour mill, but her parents were unable to meet the said demand, and hence, she was further harassed by her in laws. He further stated that on 26.2.1999, he learnt that victim committed suicide by consuming poison on account of ill treatment and harassment by her inlaws. 16. In the cross examination, P.W. 9 Chanderrao stated that Chandrabhagabai was ill treated and harassed for about 2 to 4 years before the incident, to meet the unlawful demand of money for flour mill which was run by her inlaws 4 to 5 years prior to the incident. He further stated that the police did not record his statement, nor he stated before the police, regarding ill treatment and harassment to victim Chandrabhagabai. However, subsequently, he stated that police had interrogated with him and he had stated to the police that prior to demise of Chandrabhagabai, her in laws started ill treating her for non fulfilment of demand of Rs. 25,000/- required for flour mill, but same was not mentioned in his statement, amounting to omission. Hence, suggestion was given to this witness that inlaws of the victim Chandrabhagabai never ill treated or harassed her on account of non-fulfillment of demand of Rs. 25,000/-, but he denied the same. He was also suggested that being the relative of victim Chandrabhagabai, he was deposing falsely, but he denied the same. 17. It is apparent from the evidence of P.W. 9 Chanderrao Dhakne that victim Chandrabhagabai was being harassed and ill-treated for about 4 to 5 years prior to the incident, to meet the alleged unlawful demand of money for flour mill and she disclosed the same to him about 12 months back from the incident, which, in turn, was informed by him to her parents. Initially, he stated that the police did not record his statement, but later on he improved his version and stated that the police had interrogated with him, but the very version of alleged ill-treatment to Chandrabhagabai by her inlaws to meet the demand of Rs. 25,000/- for flour mill since 12 months prior to he demise, is under omission, and hence, same diminishes credibility of his testimony. 18. Coming to the deposition of P.W. 11 Maroti Kishan Choure, father of the victim, who stated that his daughter Chandrabhagabai married to accused No. 1 Limbraj, about 7 to 8 years prior to the incident and she was ill treated at the hands of her husband and in laws, on the ground that she was not cooking the food, properly, and hence, she was subjected to starvation and also compelled to work in the field. He further stated that Chandrabhagabai used to tell him about ill treatment to her, whenever she visited to his house, on account of festivals. At that time, he and other relatives, used to persuade her husband and in laws to treat her well, and accordingly, she used to be treated well for some period, but again ill treatment to her, used to be continued. He stated that the inlaws and brother-in-laws of the victim were demanding Rs. 25,000/- from him, about one year prior to the incident, but he was unable to meet the said demand and her inlaws ill treated her, since then. He also stated that Chandrabhagabai was fade up with the ill treatment meted out to her, and hence, resorted to end her life, by committing suicide. 19. In cross examination, P.W. 11 Maroti stated that Chandrabhagabai was harassed for about two years prior to her death, on the ground that she was unable to cook the food, properly, and do the domestic work. He further stated that he used to visit matrimonial house of her daughter Chandrabhagabai once or twice in a year. He also stated that the accused had a flour mill which was run by them for two years after the marriage of Chandrabhagabai, however, thereafter it was not functioning. 20. Pertinently, it is evident from the testimony of P.W. 11 Maroti, that his daughter Chandrabhagabai, was illtreated at the hands of her husband and in laws, since she was unable to cook the food, properly. As regards unlawful demand of Rs. 25,000/-, he stated that it was made by parents-in-law and brothers-in-law of Chandrabhagabai, about one year prior to the incident, for the purpose of flour mill. Accordingly, there is no close proximity between the said demand of money and occurrence of the incident of alleged suicide by the victim, and there is huge gap of about one year between the same. Moreover, he stated in the cross examination that he used to visit matrimonial house of his daughter once or twice a year, and therefore, it is apparent that he was not in close contacts, personally; with Chandrabhagabai and her husband and inlaws, to receive the first hand information about the alleged treatment to her. 21. Moreover, P.W. 11 Maroti ambiguously stated that victim Chandrabhagabai was ill treated by her husband, parents in law and brothers in law, but he did not give specific name of any of the accused, attributing any specific role to each of them in the alleged ill treatment and harassment to his daughter Chandrabhagabai, and therefore, it is not clear as to which of the accused played which role in such ill treatment and harassment on account of alleged demand of Rs. 25,000/- for flour mill. 22. That takes me to the testimony of P.W. 3 Kesharbai Ambadas Kendre, sister of the victim Chandrabhagabai, who deposed that Chandrabhagabai used to meet her whenever they both used to visit their parental house at Jivachi Wadi, and she used to complain about her starvation and subjecting her to do hard work, such as, removal of cow dunk from the cattleshed, as well as about her in-laws offering stale food to her. Kesharbai further stated that the victim was harassed at the hands of her in-laws, with intend to meet their unlawful demand of Rs. 25,000/- required for flour mill. Kesharbai further stated that harassment being intolerable, Chandrabhagabai consumed poison and committed suicide, and she identified the accused persons before the court. 23. In cross examination, Kesharbai stated that in-laws of Chandrabhagabai started ill treating her since birth of the first child, a female child, and thereafter two male children were born. She also stated that police had interrogated with her, but then changed her version, saying that police did not interrogate with her. Hence, suggestion was given to her that she deposed falsely that Chandrabhagabai was subjected to cruelty with intent to meet the demand of Rs. 25,000/- for flour mill, but she denied the same. 24. It appears from the testimony of witness Kesharbai that inlaws of Chandrabhagabai were ill treating her, since birth of the first child, which was a female child, i.e. 2 to 3 years since marriage, and therefore, a possibility of subjecting her to ill treatment by husband and inlaws on that count, cannot be ruled out. As regards alleged demand of Rs. 25,000/- and ill treatment and harassment to victim Chandrabhagabai, at the hands of her inlaws, due to non-fulfilment of the same, P.W. 3 Kesharbai nowhere stated in her deposition as to which of the accused harassed deceased Chandrabhagabai and in what manner, and a bare statement in respect thereof without assigning any specific role to each of the accused therein, would create suspicion about the alleged ill treatment and harassment to the victim, at the hands of her husband and in laws. 25. Coming to the deposition of P.W. 4 Ramchandra Maroti Choure, brother of the victim Chandrabhagabai, it is seen from his evidence that Chandrabhagabai had married with accused No. 1 Limbraj, about 8 to 9 years prior to the incident and she had two sons and a daughter out of the said wedlock, but the daughter was not alive. He further stated that Chandrabhagabai was residing in her matrimonial house since marriage, and she used to meet him whenever she visited his house, on account of festivals. He further stated that Chandrabhagabai used to complain to him that she was treated with cruelty and was compelled to do hard work in the field and also cleaning of cattle shed and she was being assaulted and kept starved. He further stated that, he himself and his parents and brother persuaded the in laws of Chandrabhagabai not to illtreat her, but they did not pay any heed, and continued to give ill treatment to her. He also stated that at the time of Diwali, preceding the incident, Chandrabhagabai repeated to them about the harassment and insistence by her inlaws to meet the demand of Rs. 25,000/- required for the flour mill. Thereafter, they persuaded her and assured to meet the demand within one year. 26. During the course of cross examination, the witness has stated that the ill-treatment at the hands of inlaws of the victim started three years after the marriage. He also stated that the accused ran flour mill for about 4 to 5 years after marriage of Chandrabhagabai. According to him, the said flour mill was not in working condition. Pertinently, he stated that the police recorded his statement, but the very disclosure by Chandrabhagabai about demand of amount of Rs. 25,000/- at the time of Diwali and assurance by witness and his parents to fulfill the same within one year, come under the omission. 27. Considering the testimony of P.W. 4 Ramchandra, it is apparent that there is vital omission, as mentioned hereinabove and he has made general statement in respect of alleged harassment and ill treatment to Chandrabhagabai, at the hands of her inlaws, and no specific role has been attributed by him to any of the accused in respect of the alleged ill treatment and harassment, and therefore, in the absence of the same, liability upon each of the accused cannot be fixed in respect of their participation in the alleged ill treatement and harassment to victim Chandrabhagabai. 28. That takes me to deposition of P.W. 10 Shrimant Shankar Dhakne, who stated that while he was returning back from his field, he noticed that Chandrabhagabai was lying in front of cattle shed of accused No. 3 Vishnu. He gave call to her, but she did not respond and he found that she had vomited due to consumption of poisonous substance, and hence, she was taken to Sarula and thereafter she was shifted to Civil Hospital, Beed, where she breathed last. 29. P.W. 10 Shrimant was declared hostile, but nothing much beneficial to the case of the prosecution could be elicited from his cross examination conducted by the learned A.P.P. On the contrary, in the cross examination conducted by learned counsel for the accused, this witness stated that Chandrabhagabai had a kidney trouble and swelling, and was suffering from illness continuously for 23 years prior to her demise, and the accused used to take her for medical treatment, regularly. He further stated that Chandrabhagabai had attempted to commit suicide, about 12 months prior to her death. 30. Accordingly, it is apparent from the testimony of witness Shirmant that victim Chandrabhagabai was suffering from illness continuously for 23 years due to kidney problem and swelling. It is also material to note that she had attempted to commit suicide by consuming poisonous substance, about 12 months prior to her death, and hence, there appears to be tendency of committal of suicide, on the part of the victim Chandrabhagabai. 31. That takes me to testimony of P.W. 6 Dr. Kailash Hiraman Dudhal, who was the Medical Officer and who performed post mortem on the dead body of the victim Chandrabhagabai, on 26.2.1999 between 5.35 p.m. to 6.35 p.m. and stated that no ante mortem injuries were noticed on the dead body, and there was kerosene like smell to the stomach contents. In his opinion, the cause of death was "cardio respiratory failure due to asphyxia, secondary to insecticide poisoning.". The witness stated that viscera was preserved and that the same is still lying in the mortuary room and is not collected by the concerned police station. Therefore, according to the witness, no final report of analysis of C.A. was received. He also stated that even they did not inform or remind the concerned police station, to collect the viscera. Witness was unable to assign any reason, why reminder was not issued to the police station, till date. He further stated that even in the absence of report of analysis of viscera, his final opinion is that the cause of death of Chandrabhagabai was "cardio respiratory failure due to asphyxia, secondary to insecticide poisoning.". Post mortem notes are marked as Exhibit 29. According to him, cause of death of the victim was consumption of poisonous insecticide. 32. In the cross examination, P.W. 6 Dr. Kailash Dudhal stated that the provisional certificate of cause of death, has been issued to the investigating agency, prior to collection of the post mortem report. He further stated that it is correct that even in the provisional certificate of cause of death, it has been mentioned that viscera has been preserved, and according to him, it was the duty of the investigating officer or the concerned police station to collect it, for sending the same to Chemical Analyzer for analysis purpose. 33. Thus, it is apparent from the testimony of P.W. 6 Dr. Kailash Dudhal that he conducted post mortem on the dead body of Chandrabhagabai, and according to him, cause of her death was "cardio respiratory failure due to asphyxia, secondary to insecticide poisoning.". It is curious to note that although viscera was preserved, police did not collect and send the same to chemical analyzer for analysis purpose, which amounts to vital lacuna in the prosecution case. 34. On the background of aforesaid evidence, learned counsel for the appellants canvassed that there is inordinate delay in lodging the FIR, inasmuch as the alleged incident is said to have taken place on 26.2.1999, whereas the FIR came to be lodged on 1.3.1999 i.e. three days after the alleged incident, and the prosecution has not given any plausible and convincing explanation therefor, and therefore, said delay hampers the prosecution case, and hence, possibility cannot be ruled out that the FIR was lodged by complainant P.W. 8 Suryakant in consultation with the relatives and after concocting a false story against the accused persons. 35. It is also canvassed by the learned counsel for the appellants accused that the witnesses examined by the prosecution are the close relatives of the victim Chandrabhagabai and the prosecution has failed to examine independent witnesses in respect of the alleged cruelty to which the victim was allegedly subjected, and therefore, the conviction against the accused persons cannot be based on the testimonies of close relatives of the victim, they being interested witnesses. According to learned counsel for the appellants accused, evidence of P.W. 8 Suryakant, is hearsay evidence, since he has no personal knowledge and although mother of the victim, namely, Janabai reached to village Sarula, first in point of time, and her statement under Section 161 of Code of Criminal Procedure was recorded, and although complainant Suryakant was informed by her about the incident, still prosecution has chosen not to examine her for the reasons best known to it. Moreover, it is also submitted that the alleged demand of Rs. 25,000/- made to Chandrabhagabai, for installation of flour mill, was about one year prior to the incident and there is no close proximity between the alleged demand and ill treatment due to non fulfilment thereof and alleged committal of suicide by the victim. 36. Moreover, it is further submitted that it is not the prosecution case that there was any recent/immediate glaring unlawful demand by the accused persons to the victim prior to the date of incident, resulting into committal of suicide by the victim on the date of the incident, and therefore, it is canvassed that there was no immediate incitement to the victim, leading to committal of suicide by her. 37. Further, it is also canvassed by the learned counsel for the appellants that about 8 to 9 years had passed from the date of marriage of the victim Chandrabhagabai with accused No. 1, and even three children were begotten out of the said wedlock, and considering the said passage of time after the marriage and also birth of children during that period, it is not conceivable that the victim was subjected to cruelty of such a nature which drove her to commit suicide. Moreover, it is also submitted by the learned counsel for the appellants accused that even there was not a single complaint of harassment/ill-treatment by the victim or her parental relatives against the accused persons since her marriage till the date of incident, and asking to do household work, or work at own field, cannot be termed as "cruelty". 38. It is also argued by the learned counsel for the appellants that although the viscera of the victim was preserved at the time of post mortem, it is curious to note that the same was not forwarded to the chemical analyzer's office for examination purpose, and therefore, there is no final report in respect of cause of death of the victim, and the said lacuna sustains fatal blow to the case of the prosecution. It is canvassed by the learned counsel for the appellants accused that the defence taken by them that the victim Chandrabhagabai might have committed suicide due to intolerable trouble of disease of kidney, cannot be overlooked since the accused have probabilized the same, as P.W. 10 Shrimant Dhakne has also stated about Chandrabhagabai suffering from said disease. (iii) harassment of the woman with a view to coercing her or any person related to her to meet any unlawful demand for any property or valuable security, on account of failure by her or any person related to her to meet such demand. Accordingly, it is submitted that the prosecution has failed to establish nexus between the alleged cruelty and suicide by the victim Chandrabhagabai. (iii) intentionally aiding a person to commit it; are missing in the present case, considering the oral and documentary evidence adduced and produced by the prosecution. Hence, learned counsel for the appellants accused urged that the prosecution has failed to prove and establish the charges levelled against the accused persons, beyond reasonable doubt, and therefore, the accused deserve to be acquitted of the offence with which they were charged, convicted and sentenced, by allowing the present appeal. "14. There is no doubt that; the concept of cruelty and its effect varies from individual to individual and it also depends on the social and economic status to which the parties belong. It is also true that cruelty may not be physical and even mental torture and abnormal behaviour may amount to cruelty, in the instant case, the father of deceased has spoken of complaint; of beating by Sunita. However, as observed above, his evidence is found to be exaggerating and contradictory to the seizure memo. P.W. 5 Baby speaks bare minimum on the point of alleged cruelty. Moreover, she is a married sister of deceased Sunita and is not expected to possess knowledge in respect of alleged harassment to Sunita. On the point of cruelty, evidence of P.W. 6 Vimal can also not be accepted. In answer to a question, she has deposed in cross-examination that Sunita had gone to Ghatanji prior to 23 days of the incident. However, according to P.W. 4 Narayan, father of the deceased, the incident occurred on the day on which Sunita returned from Ghatanji, place of her husband. Thus, in absent of direct oral or documentary evidence, the prosecution case cannot be accepted on the basis of hearsay evidence." "6. Section 107 IPC defines abetment of a thing. The offence of abetment is a separate and distinct offence provided in the Act as an offence. A person, abets the doing of a thing when (1) he instigates any person to do that thing; or (2) engages with one or more other persons in any conspiracy for the doing of that thing; or (3) intentionally aids, by act or illegal omission, the doing of that thing. These things are essential to complete abetment as a crime. The word "instigate" literally means to provoke, incite, urge on or bring about by persuasion to do any thing. The abetment may be by instigation, conspiracy or intentional aid, as provided in the three clauses of Section 107. Section 109 provides that if the act abetted is committed in consequence of abetment and there is no provision for the punishment of such abetment, then the offender is to be punished with the punishment provided for the original of offence. "Abetted" in Section 109 means the specific offence abetted. 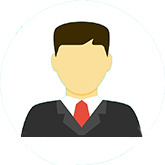 Therefore, the offence for the abetment of which a person is charged with the abetment is normally linked with the proved offence. 7. In cases of alleged abetment of suicide there must be proof of direct or indirect acts of incitement to the commission of suicide. The mere fact that the husband treated the deceased wife with cruelty is not enough. [See Mahinder Singh v. State of M.P. (1995 AIR SCW 4570)]. Merely on the allegation of harassment, conviction in terms of Section 306 IPC is not sustainable. There is ample evidence on record that the deceased was disturbed because she had not given birth to any child. P.Ws. 8, 10 and 11 have categorically stated that the deceased was disappointed due to the said fact and her failure to beget a child and she was upset due to this. " "9. The Apex Court in ("Girdhar Shankar Tayade v. State of Maharashtra") 2002 DGLS 471 ........has explained the purpose and meaning of expression "cruelty" as defined in section 498A of the Indian Penal Code. The basic purport of the statutory provision is to avoid "cruelty" as defined by attributing statutory meaning thereto. The word "cruelty" has to be understood in the context of two explanations enumerated under section 498A of the Indian Penal Code. The first explanation (a) involves three specific situations to wit : (i) willful conduct which would drive the woman to commit the suicide or (ii) to cause grave injury to herself or (iii) danger to life, limb or health. Such willful conduct may be mental and or physical as the case may be. Another explanation (b) covers coercive harassment on account of non-fulfillment of unlawful demand. It is well settled that the charges of matrimonial cruelty and that of abetment to the suicide of a married woman are distinct. Still however, when both the charged are levelled then the prosecution must establish nexus between cruelty and the suicide of the married woman. 27. The recitals of the said Chitthi (Article8) have not been duly proved. The handwriting expert did not corroborate the case of prosecution regarding identity of the handwriting of the Chitthi (Article8). Even assuming that there was some quarrel in the relevant morning, which could not be tolerated by deceased Sau. Aruna, yet that by itself can not be regarded as the act of "cruelty" within the meaning of section 498A of the Indian Penal Code. This Court in ("Ravindra Pyarelal Bidan and others v. State of Maharashtra") 1993 Cri.L.J. 3019 has held that the cruelty established has to be of such gravity that was likely to drive a woman to commit suicide. It is further observed that if suicide is established then it has to be established that it was occasioned on account of cruelty which was of sufficient gravity so as to lead a reasonable person placed in similar circumstances to commit suicide. This Court expressed view that mere harassment by itself can not be regarded as "cruelty". The harassment has to be with a definite object, namely, to coerce the woman or any person related to her to meet any unlawful demand." " 30. So far as the question of sentence is concerned, it may be seen that appellant No. 1 Supadu was aged about 65 years and appellant No. 2 Sarubai was aged about 58 years at the relevant time. A period of about 13 years has elapsed after the impugned order of conviction and sentence. By now, the appellant No. 1 Supadu has become old aged person of about 78 years and appellant No. 2 too has become quite old of about 71 years. In view of their advance age, some leniency will have to be shown to them. The impugned order of sentence will have to be modified, in keeping with the circumstances and age of the appellants No. 1 and 2, though no modification is required insofar as the sentence awarded to appellant No. 3 Baban is concerned.)" 45. Learned A.P.P. Shri V.G. Shelke for the respondent State canvassed that the testimonies of P.W. 3 Kesharbai, P.W. 4 Ramchandra, P.W. 7 Gorakh, P.W. 8 Suryakant and P.W. 11 Maroti, so also P.W. 2 Sajjanbai, are consistent in respect of ill treatment and harassment given by the accused persons to victim Chandrabhagabai, due to non fulfilment of their demand for Rs. 25,000/- for flour mill, by her and her parents, which connect the accused persons with the crime. It is further canvassed that although the aforesaid witnesses are the family members/close relatives of the victim, they have deposed fairly and put forth truth before the court, and therefore, their testimonies deserve to be believed and are required to be accepted. It is also canvassed that since the victim Chandrabhagabai was subjected to cruelty by the accused persons in the house, there cannot be any independent witness, and therefore, the prosecution could not examine any independent witness to the same, and absence of independent witness cannot be construed as flaw in the prosecution case. 46. As regards delay of three days caused in filing the FIR, learned APP submitted that the prosecution has explained the said delay, properly and convincingly, in the testimony of P.W. 8 Suryakant i.e. the complainant, since, initially although he had gone to police out post, Nadurghat, for lodging the complaint, he was advised to lodge the same with police station at Kaij, which consumed time, and accordingly, FIR was lodged on 1.3.1999 with Police Station, Kaij, and hence, the said delay cannot be said to be fatal to prosecution case, as the same is properly explained. 47. Learned A.P.P. further submitted that the learned trial court has scrutinized and assessed the evidence in proper perspective and rightly sentenced the accused persons, and there are no glaring defects or infirmities so as to interfere in the finding recorded by the trial court, warranting reversal thereof, and accordingly, urged that the present appeal bears no substance and same deserves to be dismissed. 48. I have perused the oral, documentary, as well as medical evidence adduced and produced on record by the prosecution, as well as perused the impugned judgment and order dated 29.12.2000, and also considered the submissions advanced by the learned counsel for the parties, anxiously, and perused the judicial pronouncements cited by the learned counsel for the appellants accused, carefully, and I am inclined to accept the submissions advanced by the learned counsel for the appellants accused, since there are infirmities, discrepancies and lacunae in the prosecution case, and the prosecution has failed to prove and establish the guilt of the appellants accused, beyond reasonable doubt, since, the prosecution witnesses, and more particularly who are the family members and close relatives of the victim Chandrabhagabai, have not attributed specific role to each of the accused persons in respect of the alleged harassment and ill-treatment or cruelty, to which the victim Chandrabhagabai was allegedly subjected by them. Further, the prosecution has not examined any independent witness to the alleged ill-treatment/harassment to victim Chandrabhagabai, nor examined at least any neighbour, who could have thrown some light on the alleged ill-treatment to victim Chandrabhagabai. 49. Moreover, although Janabai, mother of the victim Chandrabhagabai and P.W. 8 Suryakant, reached at Sarula, first in point of time and who was the source of information to P.W. 8 Suryakant and whose statement under Section 161 of the Code of Criminal Procedure was recorded, is withheld by the prosecution, for the reasons bestknown to it, and therefore, the submission advanced by the learned counsel for the appellants accused that the testimony of the complainant P.W. 8 Suryakant is hearsay evidence, cannot be overlooked. Moreover, sight also cannot be lost of the aspect that the prosecution witnesses have consistently deposed that victim Chandrabhagabai was meted out harassment/ill-treatment by accused persons on the ground that she did not know cooking/domestic work, and it is also pertinent to note that it has come in the evidence that the alleged demand by accused persons for Rs. 25,000/- for installation of flour mill, was made about one year prior to the incident, and as such, there was no close proximity between the alleged demand of said amount and the alleged ill-treatment/harassment to the victim, due to non fulfilment thereof, and consequently; with the alleged suicide committed by the victim, and the prosecution has apparently failed to establish nexus among the said vital aspects. Moreover, it is not the case of the prosecution that there was any recent/immediate glaring incident or unlawful demand by accused to victim Chandrabhagabai, resulting into incitement to her to commit suicide. 50. Besides that, the fact cannot be ignored that almost 8 to 9 years had passed since marriage of victim Chandrabhagabai with accused No. 1 Limbraj and even three children were begotten out of the said wedlock, and considering the said passage of time after the marriage and birth of three children, it is not conceivable that she was subjected to such a cruelty which drove her to commit suicide. It is also material to note that there was not a single complaint of harassment/ill-treatment, by victim Chandrabhagabai herself or by her parental relatives against the accused persons since last 8 to 9 years after her marriage till the date of the alleged incident, and merely asking her to do household work or work at own field cannot be termed as "cruelty" as contemplated under Section 498A of IPC. 51. Moreover, the chain of the prosecution case is also not complete, since although viscera of the deceased Chandrabhagabai was preserved at the time of post mortem, it was not sent to the chemical analyzer for examination purpose, and therefore, there is no C.A. report in that respect, and consequently; no final report regarding cause of death of victim Chandrabhagabai, is on record, and the same gives fatal blow to the case of the prosecution. Hence, the defence taken by the accused persons that the victim Chandrabhagabai might have committed suicide due to intolerable trouble of kidney disease, which is apparently supported by P.W. 10 Shrimant Dhakne in his testimony, also cannot be ignored , since the accused have probabilized the said defence. (iii) Intentionally aiding a person to commit it; are absent in the present case and on that count also, prosecution case fails. 53. Apart from that, there is also delay of three days in lodging the FIR, since the alleged incident occurred on 26.2.1999, whereas the FIR was lodged on 1.3.1999. In the said context, the prosecution tried to give explanation that the complainant P.W. 8 Suryakant has stated in his deposition that initially he had gone to Police Out Post, Nandurghat, but he was advised to lodge the complaint with Police Station, Kaij, which consumed time, and accordingly; he lodged FIR with Kaij Police Station, on 1.3.1999. However, it is worth noting that complainant P.W. 8 Suryakant was advised on 27.2.1999 to lodge the FIR with Police Station, Kaij, and hence, he could have approached Kaij Police Station on the same day or at least on next day i.e. 27.2.1999, but admittedly, he did not approach Kaij Police Station either on 27.2.1999 or on 28.2.1999, as admittedly, he approached Kaij Police Station, only on 1.3.1999 for which no justifiable reason is coming forward, which apparently gave room to concoction and implication of the appellants in the present case, falsely, and hence, the said delay is fatal to the case of the prosecution and hampers its case, and the explanation given by prosecution in that respect, is not plausible and convincing. 54. In the circumstances, having comprehensive view of the matter, and also considering judicial pronouncements cited by learned counsel for appellants in respect of Section 498 and Section 306 of IPC, it is amply clear that the prosecution has failed to bring the guilt at home against the accused persons, and has failed to prove and establish the charges levelled against them, beyond reasonable doubt. Consequently, convictions and sentences inflicted upon the appellants deserve to be quashed and set aside and they deserve to be acquitted of the said charges, by allowing present appeal. 55. In the result, present appeal is allowed, and the judgment and order dated 29.12.2000, rendered by the learned II Additional Sessions Judge, Ambajogai, in Sessions Case No. 59 of 1999, thereby convicting and sentencing the present appellants original accused for the offences punishable under Sections 498A and 306 read with Section 34 of Indian Penal Code, with which they were charged and tried, is quashed and set aside, and the appellants accused stand acquitted of the said offences. Fine amount, if any, paid by the appellants accused, be refunded to them, and their bail bonds stand cancelled. Marriage; Customs, culture, One persons personal feelings, they all get to be part of what we figure out once we take the oath to Wed. Marriage is about Sharing two lives to unite them in Love, Friendship, passion, laughter and growth and so much more of Bliss. For many of us, to merely ask someone to do something is not harmful. But should the circumstance as it was not 100% proven here to be forced, Unlawful acts of lewdness and indignity this can change entirely and then it becomes a prison for a slave. Ram and Sita are still giving us daily examples of how to share a married life and it is such that perhaps we should look at how we treat one another, whether friends or married or strangers, Treat each other with Dignity and Respect. 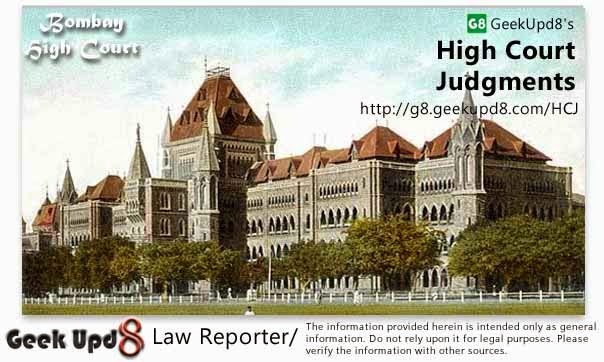 Geek Upd8 - Law Reporter: Merely asking the wife to do house hold work or to work at their own field, cannot be termed as "Cruelty"